Elliott Danker is a Singapore TV and Radio Presenter who started his career in early 2006 and has since gone on to host various time-belts on radio. He has even earned the nickname “The Ryan Seacrest of Singapore” by his listeners. Over the years, Elliott has gone on to prove that he is more than just a Radio presenter with a venture into fashion designing, with eco brand Etrican, Singapore Sports TV, Public Speaking coaching and even runs his own popular culture magazine at www.popcultureonline.net. He was even listed as one of Cleo Magazine’s 50 most eligible bachelors in 2010. Elliott is currently a co-anchor of The Breakfast Huddle with Elliott Danker, Yasmin Jonkers and Ryan Huang on Money FM 89.3 Singapore’s first and only business and personal finance radio station. 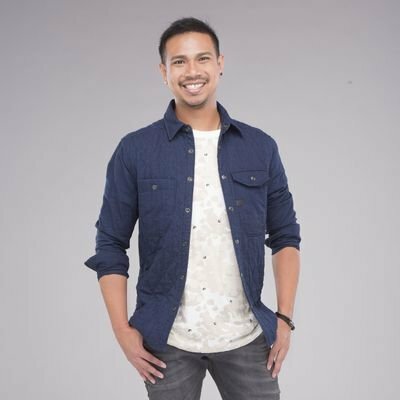 Elliott was previously part of Singapore’s ONE FM’s #1Breakfast Show as a sports presenter. He started out in WKRZ 91.3 in early 2006 before moving on to Power 98FM in mid 2008 where he helmed the lunch time-belt as well as weekend sports segments. His passion lies in the area of Sports but he has also worked with various health establishments like the Yong Loo Lin School of Medicine to promote healthier living to his listeners. Elliott made his TV debut in 2010 on the award winning Mandarin talkshow “It’s a Small World” on Mediacorp Channel 8. He has featured as a Singapore sports pundit for FC Daily on the Football Channel. His most notable TV shows hosted were SuperSports 360 on Starhub SuperSports Arena in 2013/2014 as well as the regional broadcasts of shows like the DBS Marina Regatta Highlights show 2015 as well as The Mission Foods Asian Netball Championships and Netball Nations Cup live broadcasts in 2014. He was also the host at the live regional broadcast of the Asean Basketball League 2017 finals. Elliott is also a Singapore event host / emcee and has hosted many notable events including Formula 1 driver meet and greets, various conferences and congresses, movie gala events, sports events and launches as well as black tie events. As a brand ambassador, Elliott has represented brands like Canon IXUS and Clear Men. He was also a Speak Good English Singapore ambassador for 2013. Elliott Danker is an energetic TV presenter and a consummate professional. Elliott is well liked, quick to adapt, and cool under pressure… he will be an asset in any TV newsroom. It was a pleasure to work with Elliott for the live production of SuperSports 360, a daily sports news TV program that aired on StarHub. Elliott Danker is a leading broadcaster amongst Singapore’s radio talent. He keeps his breaks, short and sharp while at the same time demonstrating his complete empathy with his audience. A radio-friendly voice and concise delivery makes Elliott stand out from other English-speaking Asian broadcasters. Witty, Quick on his feet and Flexible….all traits of a good event host. He connects instantly with the audience and is able to get the company’s PR messaging across effortlessly. Be it as a radio newscaster, host, writer, designer or indeed a trainer, Elliott Danker brings with him a wealth of experience that undoubtedly makes his unique presence warmly felt in the classroom. Adding to the mix is his innate ability to bring fun and flare to any teaching environment, whilst understanding the specific needs of our student’s. All this, whilst adapting his style to suit our material and corporate dynamics. It has been a privilege for Habitat for Humanity Singapore to have Elliott host our larger fundraiser events over the past 6 years. Ever the consummate professional, Elliott puts his heart and soul into his preparation even for a charity event – and it shows. He is witty and charming, bringing a dynamic presence to the stage. I’ve thoroughly enjoyed working with Elliott, and I would strongly recommend him as an emcee. It’s been great working with Elliott on the Speak Good English Movement 2012/2013. The perfect fit as an ambassador, Elliott walks the talk (literally) and was really easy-going and professional during the photo shoot. We look forward to more opportunities to work together and spread the message of good English!